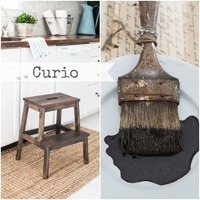 1 Sample size will paint a side table, several mirror frames or a small chair. 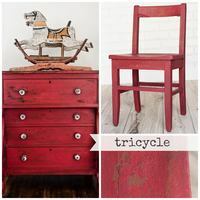 1 Quart size will paint a dresser and a side table. 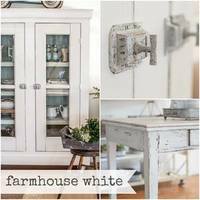 2 Quarts will paint a large hutch. 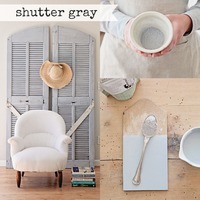 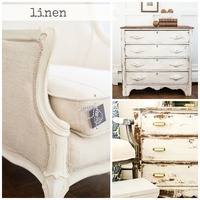 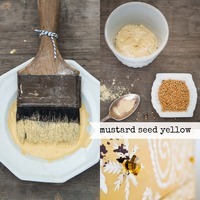 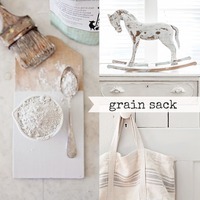 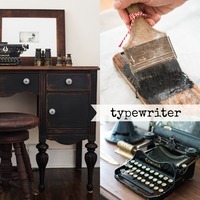 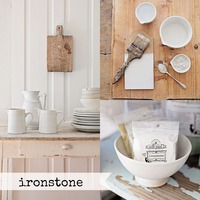 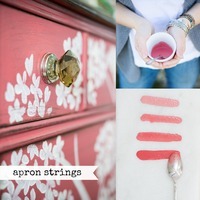 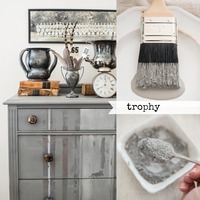 Miss Mustard Seed's newest milk paint colour! 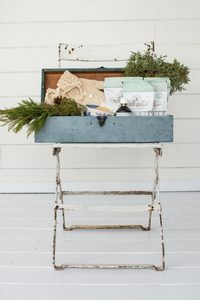 A gorgeous smokey, blue gray colour that Miss Mustard Seed custom mixed to match the original patina on an antique French bird cage.